Entertainment TV Channel / 3sat is a public, advertising-free, German-language television network. It is primarily aimed at audiences in Germany, Austria and Switzerland. It is however available across Europe by satellite. 3sat was established to broadcast cultural programmes, originally by satellite. The network was founded as a cooperative network by Germany's ZDF, Austria's ORF and Switzerland's SRG SSR (formerly SRG SSR idée suisse). 3sat began broadcasting on 1 December 1984. ZDF leads the cooperative, though decisions are reached through consensus of the cooperative's partners. 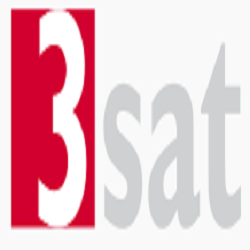 In 1990, DFF, television broadcaster of the German Democratic Republic became a cooperative member of 3sat, and a name change to 4sat was considered. Eventually it was decided to keep the original 3sat name. DFF's membership of 3sat was dissolved on 31 December 1991, as DFF itself ceased to exist, in accordance with Germany's Unification Treaty.